Today, many homeowners choose to include a spa during their new pool builds. Spas offer that additional level of relaxation for those looking to create a truly calming backyard experience. 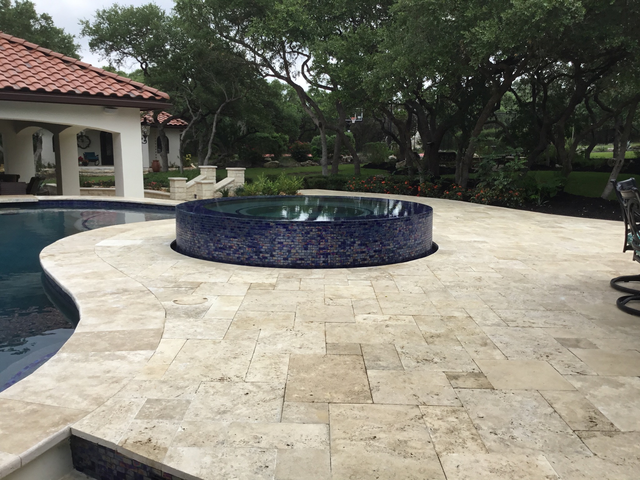 WestView Pools builds unique spas that include beautiful design elements like spillovers and tiling. So close your eyes, and imagine coming home after a long day of work to the comfort of hot water, massaging jets, and aromatic steam that lets you unwind and rejuvenate. Call 210-370-7080 today to find out how WestView Pools can build the relaxing backyard of your dreams.